I love this sneak peak! Epic! isabelle wrote: I love this sneak peak! Epic! It has the added novelty of being the first ever Dharma Station. At least I presume so, since they used it to find the island. 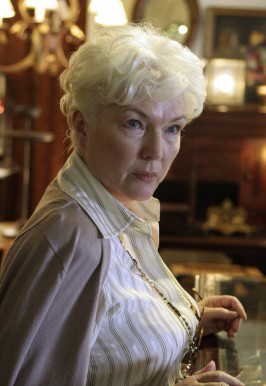 Is it me or is Eloise very much like M(Judi Dench) from Bond? I agree. Fantastic sneak peek. I would love a sharp pic of the equations on the board. 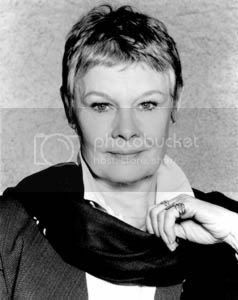 nadalscougar wrote: Is it me or is Eloise very much like M(Judi Dench) from Bond? They kind of look alike, though. So thatz how Dharma found the Island?! Interesting! Again... made of epic win sauce. That's how DHARMA found the island???!!! Well, Widmore and Ellie were both on the island in 1954, so what does that mean??? NO. I know. I just meant with the accent and white hair, and the whole, explaining a situation scene. I knew it wasn't Judi Dench. I'm part British. We know our "Queen". LOL. Honestly if she takes on one more role as a Queen, I'll go on hunger strike. Oh, my bad. I thought you were asking.